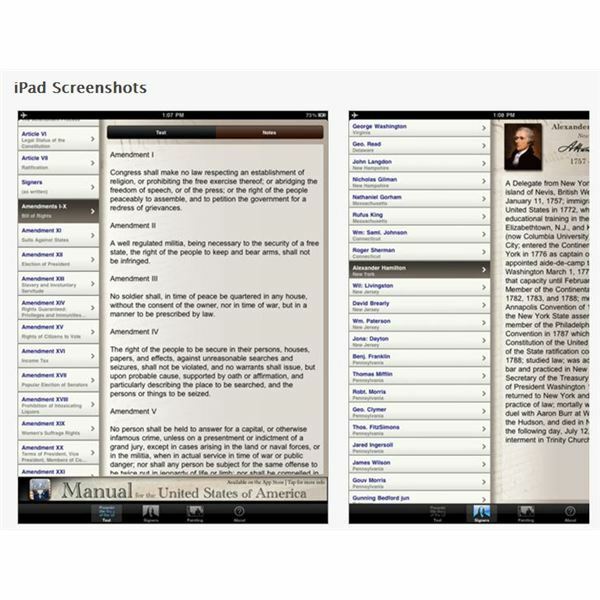 Download the Declaration app for the iPad. 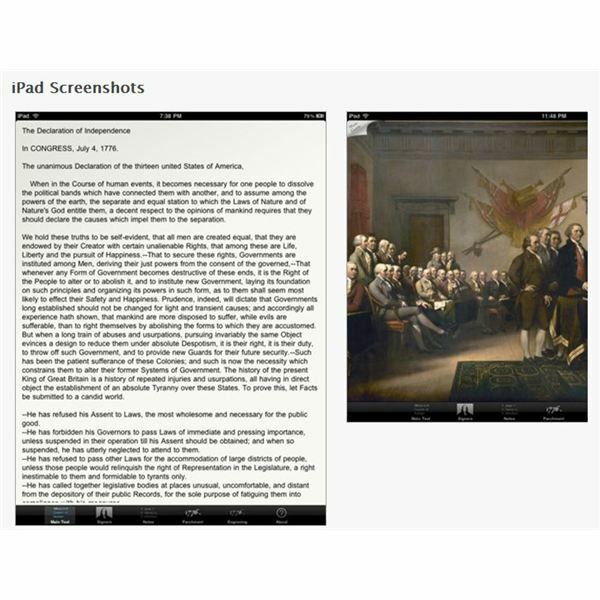 It's free, and it features historical notes and images of the original Declaration of Independence document. You'll find that it includes images and bios of the signers. Have students chose a signer of the document from the Declaration app and write a paper on him. or assign him to discuss various concepts within the document itself. Another free app, try the Constitution app for the iPad. This app features the amendments and signers' bios. Have students learn the Constitution using this app then divide the class into two groups and have them weigh the pros and cons of the Constitution. 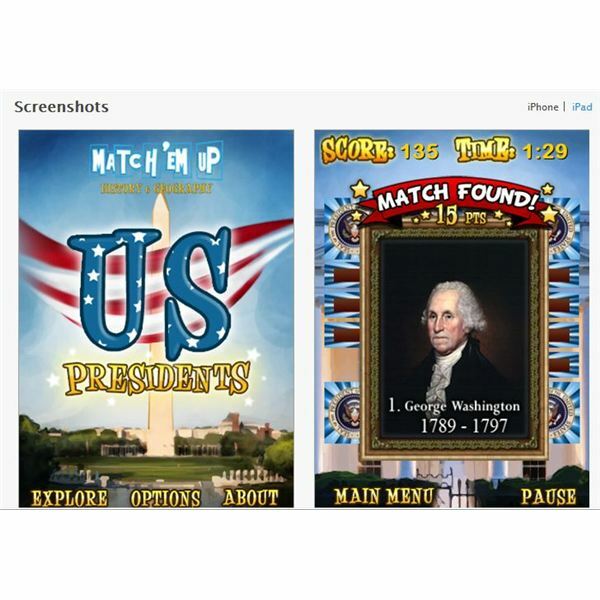 This app uses an innovative matching game approach to teach students about the presidents of the United States. Students will play the games in rounds, and they will come to learn the order, term, party–as well as the vice presidents–in this fun interactive learning option. It's a 99-cent download. 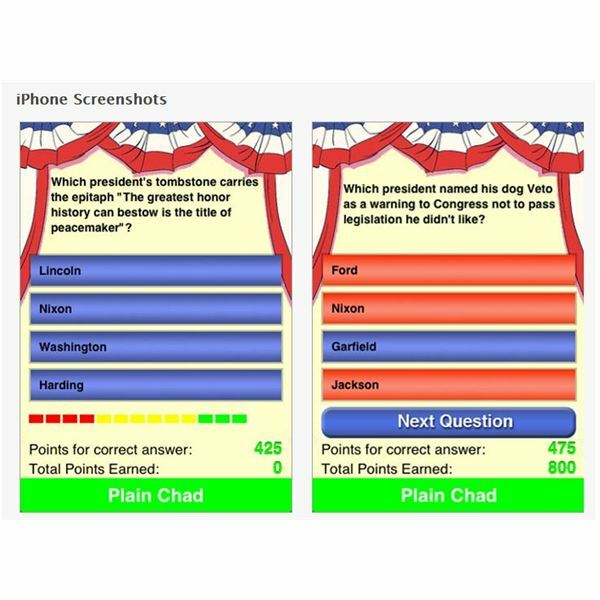 Also for just 99 cents, iTrivia Politics is a political trivia game that will test your students’ knowledge on the presidents and their campaigns. The app does not always provide an explanation of why an answer is right or wrong, but let that be fuel for classroom discussions. Purpose: The purpose of this activity is to provide students with the knowledge and understanding of political parties, and have them participate in writing a platform for a political party using their iPad. Engaging your students with the iPad will help them retain what they're learning. 1. Identify political parties by using apps downloaded on their iPad to gain information. 2. Identify key elements of the two major political parties using their iPad to gain information. 3. Write their own platform for a political party using the iWork app on their iPad. • Introduce students to this activity by first explaining the election process as well as the two main political parties and their platforms to the students. • Next, have students research the two main political parties and their platforms by downloading applications for the iPad such as Political Terms for Dummies, The Democrats and The Republican Loop to gain information. • Finally have students write their own platform for a political party of their creation, by using the iWork app to create and publish their platform. You will assess the students' work by seeing their finished political platforms published on iWork.com. These creative uses for the iPad in your High School government course will add excitement and motivate the students to learn about the government through the use of new technology in the classroom.